Patient, gracious, thoughtful, and loving. Kathleen J. Foster of Davenport passed away Oct. 24, 2016. 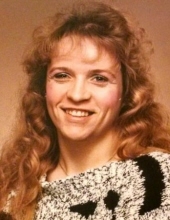 Kathleen was born on July 17, 1954 to Virl and Milton “Shorty” Hoskins in Moline, IL. Kathy graduated from Rock Island High School. For many years she was a seamstress at Hart Schaffner & Marx Co., Inc., Seaford Clothing Div. in Rock Island, Illinois. Kathy enjoyed ceramics and designing jewelry but her true joy came when she was with her 3 sons and 4 granddaughters. Kathy deeply loved her sons and granddaughters and was passionate about living in the moment and enjoying life. Her only regret was not being able to stay longer. Kathy is survived by her three sons, Michael, Jr. (Elizabeth Moore), Davenport, IA, Brian, Davenport, IA, and Todd (Heather), Rock Island, IL granddaughters Kilee, Allison, & Kale, Rock Island, IL and Caroline Foster, Davenport, IA; sisters Arena L. Morgan and Neva J. Slate; brothers Eddie L. Hoskins and Danny K Hoskins. In addition to her parents, she was preceded in death by sister Raynita. Kathy’s fight with ALS was short and fierce. Her family requests that in lieu of flowers, donations may be made to the ALS Association Iowa Chapter in her memory. To plant a tree in memory of Kathleen J Foster, please visit our Tribute Store. "Email Address" would like to share the life celebration of Kathleen J Foster. Click on the "link" to go to share a favorite memory or leave a condolence message for the family.